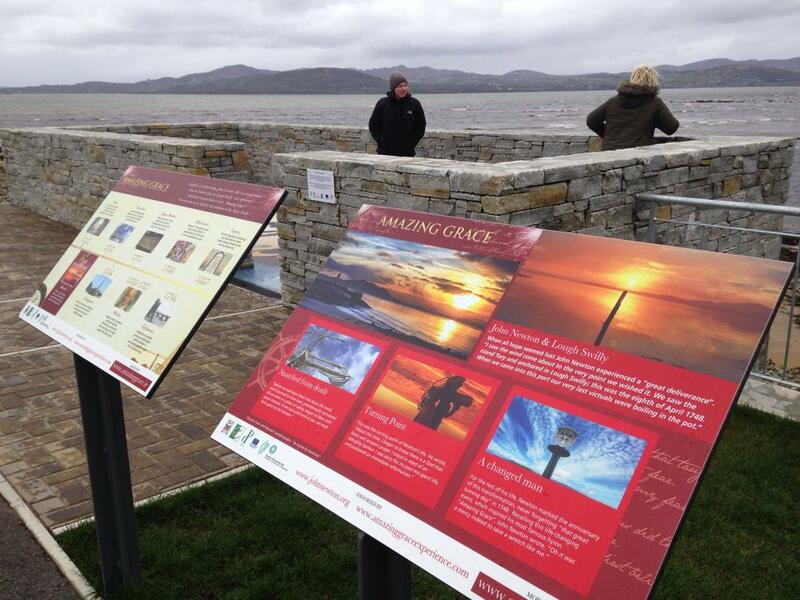 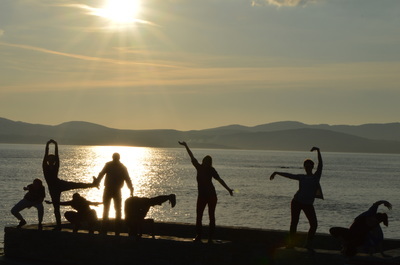 Opened on 4 October 2013, the Amazing Grace viewing point in Buncrana is the perfect place for visitors to look out over Lough Swilly and to consider the inspirational story of John Newton and Amazing Grace. 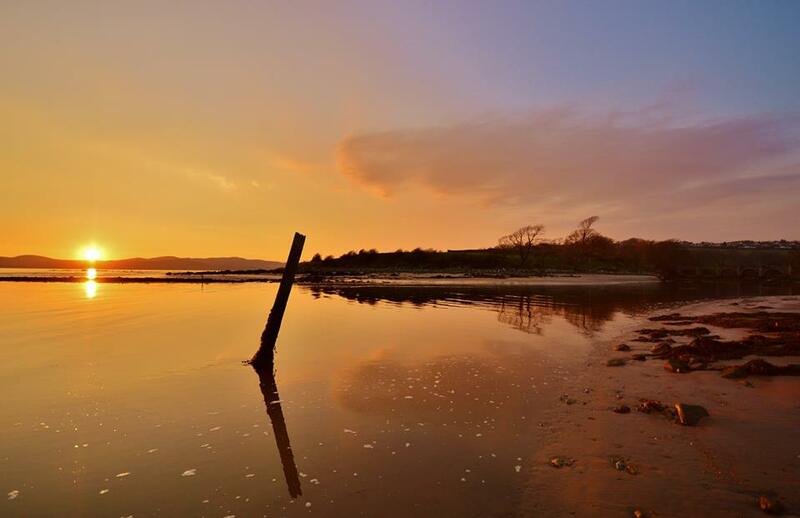 This story of transformation is symbolised by the transformation of an ugly concrete platform into a beautiful place designed to blend in and enhance the stunning natural beauty of the lough. 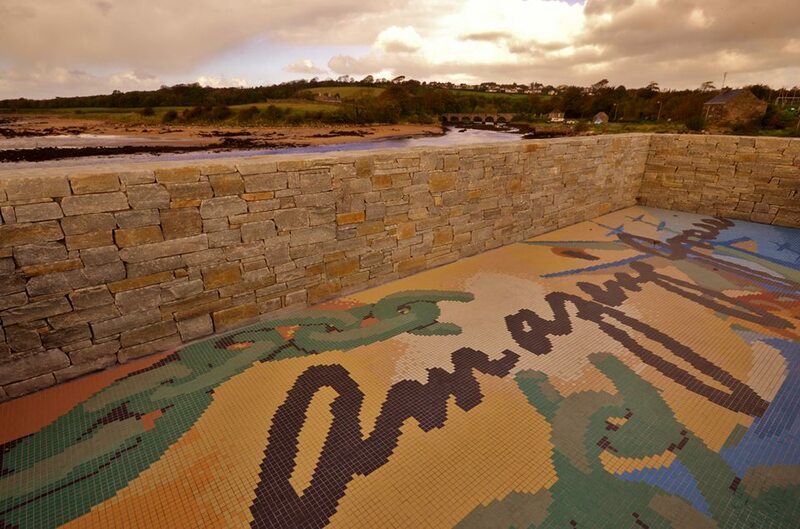 A local contractor re-clad the concrete platform in stonework and landscaped the surrounding area. 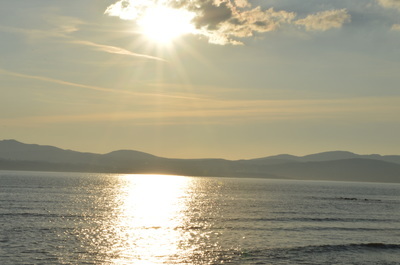 A new set of steps create easy access onto the sandy beach below. 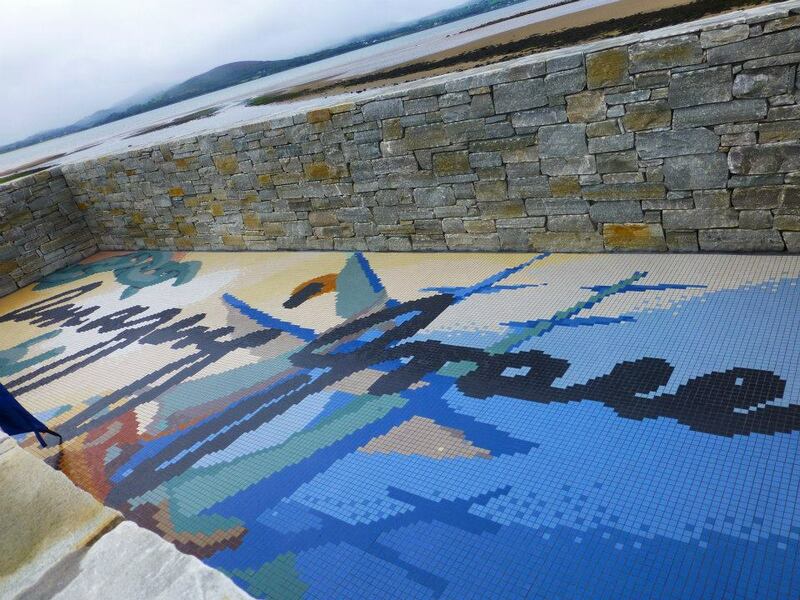 The floor of the viewing platform features a mosaic tile designed by local artist Andrew Garvey-Williams and created by Irish-company Mosaic Assemblers. The design incorporates a representation of John Newton's ship The Greyhound, the words "Amazing Grace" copied from Newton's own handwriting and broken chains to symbolise the end of the Trans Atlantic Slave trade. New interpretation signs located at the viewing point recount the significance of John Newton's arrival in Lough Swilly using extracts from his own autobiography and also give a timeline of Newton's life and work. The viewing point marked the first step in a plan to create an Amazing Grace experience in the area. The Amazing Grace Park and Walk opened on 31 October 2014. Buncrana Town Council and the Amazing Grace Initiative would like to thank Inishowen Development Partnership (Leader) and the Department of Environment, Community and Local Government for their support under the National Rural Development Programme 2007-2013 in making this project happen.